Welcome to Pratt Nature Center! The Pratt Nature Center is a 205-acre wildlife preserve and environmental education center in Litchfield County, CT. The land is diverse – with a mountain, meadows, woods, wildlife, gardens, farm animals, a stream, a pond, and wetlands, providing wonderful opportunities for outdoor fun, discovery and adventure! Pratt Nature Center offers hiking, bird-watching, community garden plots and nature education for all ages including programs tailor-made for the classroom or scout troop as well as for family or community enjoyment and learning. 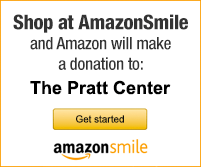 Donate to the Pratt Center!